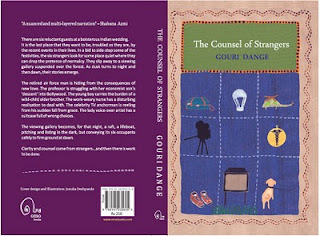 As the title suggests, this is a novel about strangers, 6 strangers of all ages, occupations and social class, who happen to meet at a wedding. It is not so much a novel as a collection of six short stories that merge one fateful night. The night where wedding revelry is only a backdrop to these guests who find themselves reluctant invitees to the pomp and show. Instead these characters spend the evening in each others company, divulging their past lives and current predicaments. On the surface, the characters appear unique and quite different from each other. Wing Commander Brahme, a retired Army Officer, Kartik, the young teenage boy, Anandi-Mohini, a single woman with a past, Sahil, the news reporter, Sajani the nurse and Professor Natrajan. Their stories cover different aspects of the human condition, from dealing with late-life romance, to lack thereof, from being alone to being watched continuously, seeking meaning to seeking affection. But there are common threads that repeat, the USA connection for three of the 6 characters, the Mumbai connection for another three. Dange does a fantastic job of getting the thoughts of the aging and elderly just right but falters with the first person narration of the little boy who resents being under the microscope of his family, afraid to repeat the delinquency of their older child. Nurse Sajani's voice is much more believable as a woman who has spent her years caring for other bodies, but craves to be free from her duties as she ages alone. The lines spoken by the educated elite ring true and is the voice that the author seems most comfortable with, whether it is the moral superiority expressed by the NRIs settled in the US or the intellectual snobbery of Professor Natrajan who uses it as a shield to distance herself from her only son. The stories are laced with wry humor and true-to-life situations. I loved the first chapter about Wing Commander Brahme and identified with Anandi-Mohini's theories about marriage. The writing is liberally sprinkled with quotes from Ezra Pound and lyrics of well-known Bollywood songs. It is a light and engaging read, particularly a good book to while away the time in airports and train journeys. 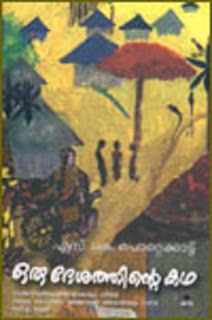 The technique of telling many different stories in first person narration as chapters in a novel is not new one, it has been successfully used by other Indian authors such as Anita Nair in Ladies Coupe and more recently by Chitra Banerjee in One Amazing Thing. But this is one novel where the oft-repeated lines from Bollywood movies also undermine the story by the obvious effort and insistence on trying to tie things up nicely at the end. The novels strength is in its life-like characters but they turn into mere caricatures as they sprint to the anticipated happy ending. Must be an enjoyable read Ladies Coupe by Anita Nair. loved the way you wrote it. I find your review very genuine and orignal, this book is going in by "to read" list.